Intermittent fasting is all the rage, but does it actually work? It boasts benefits of lowered cholesterol, blood pressure, inflammation, as well as increased metabolism, appetite and blood sugar control, among many other things. Is all this true? How do you know if intermittent fasting (IF) is right for you? What do you need to know before you try it? In this post, we’ll answer each of these questions plus discuss the different types and how to try them out! *This post contains a few affiliate links. Using them adds no extra cost to you! Let’s start with the basics. IF is just another way of saying that you go extended periods of time without eating. You’ve probably done this on accident or after an unusually large meal. You don’t need IF to meet your goals, but it can be a great tool. If you read through how to do it and feel it won’t work for you, your schedule, your hanger levels, etc, don’t stress. It’s not the golden ticket to abs. And it’s not a perfect fit for everyone. You can get great results through eating every 3 hours, through reducing calories, cleaning up your diet, exercising, etc. I know we’ve all seen the before and after photos and know a friend who looks amazing after IF. We want to know the secret and if it will work for us. As we explore this topic, keep an open mind and don’t stress if IF isn’t a good fit for you! Before we dive into the nitty gritty of the how, let’s talk about why anyone would want to skip meals or go a day without eating. I, for one, am not the type to “forget” to eat a meal. Goodness, no. So I’m going to need serious benefits to make me consider it. I have a feeling I’m not alone. Research shows that IF potentially improves and increases your metabolic rate and ability to burn fat while preserving muscle. One reason this happens is IF improves blood glucose levels in your body. This, combined with increased insulin sensitivity and growth hormone release, creates a promising state within your body to build muscle, burn fat, and lose weight. Adding exercise to intermittent fasting can increase your weight loss up to 6 times as much as exercise alone, making it a great option if it fits your lifestyle. In one study on obese individuals, the IF + exercise group saw waist size decrease, bad cholesterol decrease, and good cholesterol increase. Basically your body is becoming more efficient as using what you’re feeding it, and since you’re not feeding it constantly, it starts to use your fat stores. IF also works because you’re consuming fewer calories by limiting your eating window. IF has also shown to improve appetite control (hallelujah!) as well as your cardiovascular and brain functions- while improving mental clarity, focus, and memory. IF can also potentially reduce blood lipids, which improves your cholesterol profile and lowers triglyceride levels. It’s linked with lowered risk of Type II Diabetes and heart disease, and an increase in cell turnover, which plays an important roll in disease prevention. Even further, it’s been linked with a decreased risk of cancer, reduced oxidative stress, decreased inflammation, and reduced blood pressure! It potentially fights conditions like Alzheimer’s, dementia, and Parkinson’s disease, and may even increase how long you live! IF can be effective because going without food puts your body in a state of stress, which can increase its efficiency and promote alertness while preserving muscle mass. For some people, Intermittent Fasting can simplify life greatly. Depending on when you’re fasting, you won’t need to pack a lunch and snacks for the day. It saves you time and lessens how many meals you have to prep and cook. And since you’re skipping a meal or two, it can save you money! If you just threw my cheeseburger in the trash so you could get started, go ahead and dig it back out. I won’t judge. First, let’s discuss the problems with the experiments, talk about the data we have, plus learn more about who should not fast before you jump in! Any good IF research endeavor will lead you to the conclusion that there’s not sufficient evidence. Unfortunately, most of the studies have been done on mice, so although the research is exciting and promising, we still don’t know yet if it will have the same effect on humans. Many of the experiments done with people to date have used poorly controlled or very small groups,. Some have had high dropout rates. Also, many are done on men, which is a whole other set of problems we’ll talk about later. 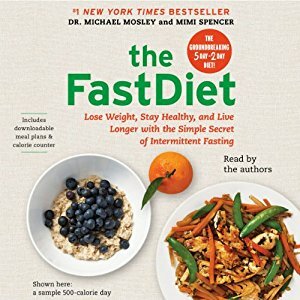 If you dig into some of the research, you’ll notice that some experiments have been done with extended periods of fasting (more than the average IF protocol will suggest), and many used “alternate day fasting” which means you eat only every other day. To get many of the benefits described above, studies are suggesting you would need to fast closer to 24 hours, or if you add intense exercise, closer to 16. Is it IF that’s Working? Not to be a Debbie Downer, but another problem with the current research is how hard it is to isolate the effects of intermittent fasting. What this means is that it’s hard to tell if IF is making a difference or if it’s something else, like choosing healthier foods, consuming less pesticides and pollutants, and reducing calories eaten. Many of the studies are comparing IF participants to those with a poor diet, or changing up other dietary factors like consuming high carbs, so we can’t guarantee it’s IF that’s decreasing dress sizes or not. This isn’t an exhaustive list, but you get the idea: the jury is still out. It’s good to keep this in mind as you consider if IF is safe and effective for someone like you. Remember, IF is a fancy way of saying you’re skipping a meal. So, if any of these sound too complicated or not conducive to your lifestyle, you can start with just skipping a meal every now and then and you should reap some of the benefits. Or, you can just skip eating for a day. No need to overcomplicate things. The belief behind meal skipping holds that this should be done randomly once or twice per week. The food recommended with this type of IF is Paleo-esque. You skip breakfast on Tuesday and maybe dinner on Thursday. I think this is a great “gateway” into intermittent fasting. You can see how you feel, get more in tune with your body’s physical hunger cues (vs. psychological), save a few bucks, and take some time to be thankful you normally have food on the table. You may not get all of the benefits of fasting mentioned above, but skipping a meal can even be good for your digestion. I’d suggest skipping meals on rest days or cardio days. This is a fancy way to say you’re fasting for a whole day. 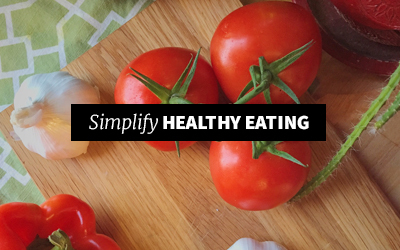 You’ll eat normally for 24 hours, skip all meals for 24 hours, and then resume regular eating. It’s flexible enough to be from breakfast to breakfast or from dinner to dinner. Choose whichever 24 hour period works for you, once or twice per week. This method holds that you can “enjoy all your favorite foods” with no calorie restrictions on your eating days. However, keep in mind this is all within reason. It’s OK to enjoy your favorite foods in moderation, but this is not a free-for-all. Other sources say you should eat sensibly, focusing on protein and trying to limit processed foods. 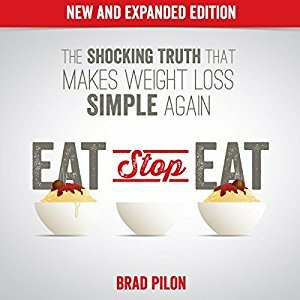 The creator of Eat-Stop-Eat, Brad Pilon, believes weight training should be a regular part of this fasting regimen. If you find that you’re not losing fat, you could calculate your caloric needs and track what you eat to make sure you’re not overeating. If you decide to count, I’d suggest tracking protein, too. Let’s say you normally finish breakfast at 7am, so you fast from 7am on Monday to 7am on Tuesday. An example for dinner is to start your fast when you finish dinner at 6pm on Thursday. You’ll fast until 6pm on Friday and then resume normal eating. You can choose two days a week or stick to one. Fasted training is recommended before you break your fast if it works in your schedule. Fasted training means working out before you eat. It’s supposed to help your body use your current fat stores as energy. It can also boost your metabolism, and improve blood sugar and insulin levels. For some people, they feel great doing this, others feel like they’re dying. It may take awhile (usually around two weeks) for your body to adjust, although some never feel adjusted. You’re not working out completely fasted: it’s recommended to consume 10 grams of BCAA’s about 10 minutes before your workout. BCAA’s are Branched Chained Amino Acids, and they are the building blocks of protein. You can also do protein powder and water or a low-calorie mixer. Your largest meal of the day should be right after your workout. If your schedule doesn’t allow for this, Martin has some suggestions for how to eat around your workout for optimal performance and results in his LeanGains guide. I love that this protocol is flexible. If you cannot workout in a fasted state, Martin has outlined what pre-workout meals look like in the Leangains Guide. There’s flexibility in how many meals you eat and the timing of your biggest meal. He highly recommends keeping your feeding window the same hours each day, though, so your body can be on a rhythm. To get the most out of this method, it’s recommended to do it every day. However, if that won’t work for you, you’ll still get benefits by doing it a few days per week. The Leangains IF pattern requires you to eat a lot of protein, so you’ll focus meals and snacks around protein sources. It encourages you to cycle your carbs, which means you’ll eat more carbs on workout days and more fat (less carbs) on rest and recovery days. You should try to eat 2-3 meals within the 8 hour window, focusing on healthier food choices and considering macros. You can snack and aren’t limited to 3 meals. It’s just mentioned because that’s what most people do. Calculating your calories and protein needs would be a good idea if you want to be specific and get the most out of it. However, for some people this takes away the convenience factor of IF and becomes tedious. It’s not necessary to count calories while doing Leangains. Martin recommends 1g of protein per pound of bodyweight as minimum intake. To effectively cycle carbs and calories, understanding your caloric needs is important and helpful to getting you results. Eating a surplus of calories is OK and sometimes needed on training days, but should not be done every day. You could fast from 9pm Wednesday night until Thursday at 1pm. If it worked in your schedule, you could workout just before your first meal at 1pm and eat your largest meal of the day right after. Start your fast again at 9pm on Thursday. Another example would be to fast from 7pm after dinner until 11am the next day. If you have a normal 9-5 job and go to the gym after work, you could have one or two smaller meals before your workout, and save the biggest one for after. Pick any 8 hour fasting window that works best for your schedule. You can do this IF protocol without exercise, but it’s highly encouraged. This type of intermittent fasting is very popular and I can see why. It can simplify your lifestyle while still giving you some normalcy. It’s a shorter fasting window than some others, but with the fasted workout you still get many of the benefits of a longer one. You can start with a shorter fasting window and expand as you get used to it. It’s OK to start small. Some people complain they are too full during the feeding period. You’re going from eating all day to eating the amount of calories and protein you need in only 8 hours; your body might need some time. Also, this study on men showed this is a promising protocol for decreasing fat while maintaining and growing muscle! I personally think this is my favorite and most doable, but ladies, I have some concerns for you below before you declare your fast! This is the type of fasting that was used in many of the studies mentioned before. With alternate day fasting (ADF) you fast for 36 hours and then have a 12 hour eating period. You have the freedom to eat whatever you want on feeding days, and you can consume zero calorie beverages (like coffee and tea) on fasting days. With ADF, you only have to restrict what you eat half of the time. A more popular version includes eating 500 calories on fasting days. Some studies show that ADF is actually easier to stick with than regular dieting (reducing calories), and participants of ADF maintain more lean muscle mass than regular dieters. Some people claim hunger goes down on fasting days, while others say it remains high, hence the more popular version with 500 calories on fasting days. Good news is that studies are showing the normal hunger associated with decreasing your calories isn’t as bad with ADF, which is why some people find it easier to stick with than traditional dieting. Only on fasting days to ensure you stay below your maximum intake if you’re choosing to eat; not needed during your 12 hour feeding window. 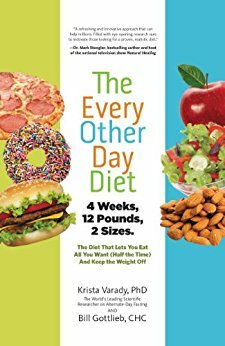 You’re basically eating every other day. So you could choose to eat from 8am-8pm on Tuesday, fast on Wednesday and then eat again on Thursday from 8am-8pm, and so on. Choose the 12 hour time span that works for you, skip a day of eating (36 hours) and then eat again during that same feeding time slot the following day. Although I couldn’t hang with ADF, the research shows it’s a very promising way to lose fat while maintaining lean muscle mass and improving your health profile. I like that it decreases your metabolism less than regular dieting. So far, studies are also showing that ADF does not increase binge eating and has also improved body image. Most of the studies so far are on obese people, the but research indicates it’s safe and effective for people who are of healthy weight. The results right now are promising but the experiments have left a lot to be desired. Keep this in mind if you are reading this and think ADF must be the answer to all of your problems! Follow the links within this section to learn more about each study. If you feel this is something you can do, check with your doctor to see if it’s safe for you to proceed with. This version of intermittent fasting has no food restrictions. 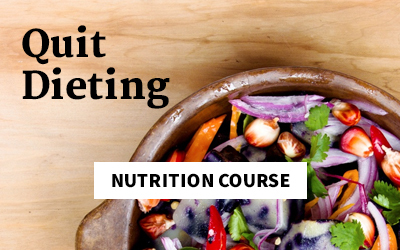 It involves 5 days of eating whatever you want with no calorie counting, and includes 2 days of very low calories, usually 500 for women and 600 for men. You can choose whichever days are best for you for the restricted eating days, as long as they are non-consecutive. There are very limited studies on this particular type of IF, and so far they show it’s as effective as regular dieting for losing weight, It may help maintain more lean muscle than its counterpart, but doesn’t boast the same benefits on insulin and blood sugar as the other types of IF. Other studies show this diet isn’t as effective without adding exercise into the equation. Only on fasting days to ensure you stay below your minimum. One of the perks of this diet is that you don’t have to count calories, but if you find that you’re going overboard on the other 5 days, tracking for a short time can help you get a better idea of how much to eat. This is a more specific version of the 24 hour fast mentioned earlier. Choose two non-consecutive days to fast, like Tuesdays and Thursdays. Fasted training isn’t strongly recommended, so you could workout on fasting or non-fasting days, whichever work best for you. Some women have reported their menstrual cycles stopping while on the 5:2 diet, which resumed when they returned to normal eating. 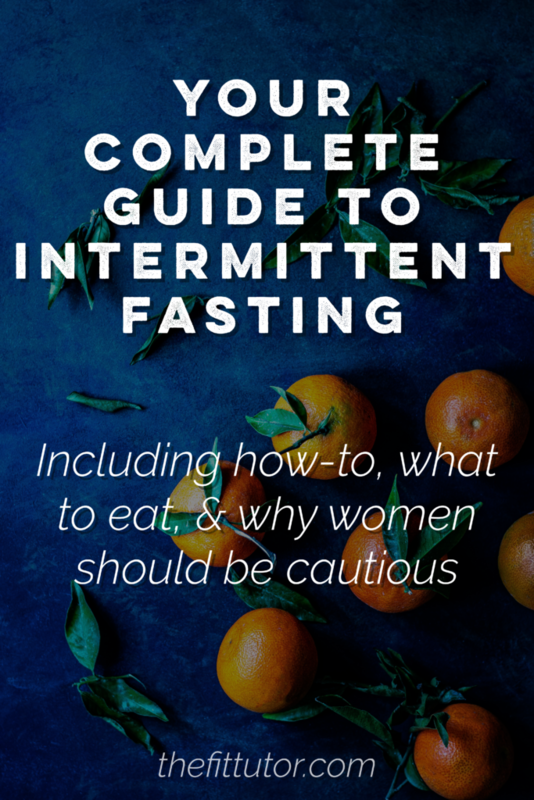 There’s more about women’s hormones and intermittent fasting below, but it makes me cautious to recommend this type of IF. On the flip side, I like that it maintains more lean muscle mass than regular dieting, and many people find this easier than normal calorie restriction. 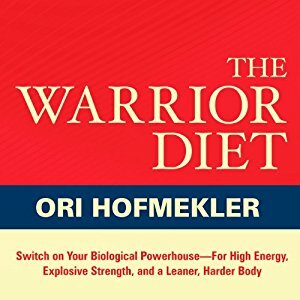 For the warrior diet, you’re advised to fast (or eat small amounts of recommended foods) for 20 hours each day, and eat a majority of your calories during a 4 hour feeding period. Exercising during the 20 hours of fasting is encouraged. Your 4 hour feeding period should be at night, but it can be modified for your schedule and lifestyle. The creator, Ori Hofmekler, holds that we are nocturnal eaters. Eating at night will promote healthy, peaceful digestion, and help your body function better and be more alert during the day. This type of IF was designed after Hofmekler’s experience in the Israeli Special Forces and studying ancient Sparta and Rome. If possible, eat one large meal consisting of mostly protein, veggies, and healthy fats. Add carbohydrates if you are still hungry. Ideally, this meal should be right after a workout, and eaten until you’re full. No specific calorie requirements are needed. Critics claim there’s no scientific research to back this up, plus it’s hard to get all the nutrients you need in 4 hours. It can increase your blood sugar, and may harm your metabolism if followed long-term. Hofmekler claims that the diet is anti-aging, improves insulin sensitivity, muscle growth, and fat loss, and can turn your body into a fat-burning machine. Since night eating is encouraged, you could fast or eat limited amounts of the recommended foods during the day, and break your fast from 6-10pm. During this time you’ll eat one large meal, preferably based around meat, eggs, vegetables, and healthy fats. Stop when you’re full, and make sure to be finished by 10pm to start another fast. It can be adjusted for people’s schedules, so you could have 7-11am “overeating” period, and start your fast at 11am. Ideally a workout is performed before your meal, and this pattern is continued each day of the week. 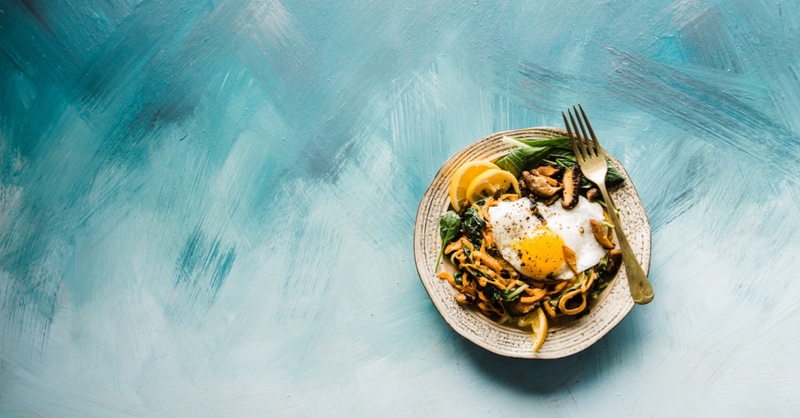 Although people are getting great results on this diet, I don’t think it’s very conducive to family life or your social life – especially in Portland where Brunch is king. I am sure more research will come out on this diet, but I’d have a hard time recommending something without more scientific support. Also, holy hunger, Batman. I’m concerned about long-term effects on metabolism and hormones, so this one is a hard pass in my book. You’ll see that each type has a fasting period and a “feeding” period. Many IF variations are still concerned with what and how much you eat, but others offer more freedom. Some encourage fasting windows while others, fasting days. Remember what we stated earlier, many of the benefits come with longer fasting periods – around 24 hours but not exceeding 36. However, it’s easier to lose muscle mass the longer you fast- which is no bueno, even though your scale will tell you it’s a good thing. The healthiest goal (and most common) would be to increase muscle mass while decreasing body fat during IF. This is why many people feel the 16/8 window or the Eat-Stop-Eat are doable and find great results. Personally, I’ve only managed to skip a few meals and feel that alone is my Everest. You do you. You’ll maximize results by consuming plenty of protein and nutrients during the feeding windows, focusing on whole foods, and adding in exercise, preferably during a fasted state if it won’t kill you. You should naturally be able to control your calorie intake to meet your goals since there’s a restricted feeding time. This helps you achieve a calorie deficit to help you lose weight. If you find that you’re gaining fat instead of muscle (or doing both) you can track calories and macronutrients to help you get a better idea of what you should be eating. I’d recommend starting small and just practice with skipping a meal here or there. You can “graduate” to a 24 hour fast or try a limited feeding window. Honestly, choose whatever you think will work best for your life and give it a try, after reading the warnings. More on how to tell if it’s working below. What Should You Eat While Intermittent Fasting? It’s helpful to have a good understanding of healthy choices and balanced meals before you dive into IF. In fact, some of the big-wigs in the fitness industry say that’s non-negotiable. I’m sure many of you won’t listen to that suggestion because you tend to dive head first into things all fired up and ready to go. When motivation appears, you run with it, right? If that’s you, then IF will be a big adjustment because you’ll need to learn how to eat right for your body while practicing fasting. It can be a lot to take on for some people. It’s OK to start out with some healthy dietary changes first, and I’d definitely recommend that. Try to eat mostly whole foods, and limit what comes out of a package or box. Supplements like protein powder or bars like granola or protein made out of real ingredients work, too, because convenience. Shoot for 1-2 palm-sized portions of protein at each meal, and try to base most snacks around it as well. You need protein for repairing muscles after a workout, as well as everyday things like building immune cells and making sure your organs function. It’s worthy of most of the hype it gets. If you shoot for the 1-2 palm-sized portions and throw in some protein-packed snacks if you get hungry or a shake after a workout, you should reach the amount you need. If you’re working out hard along with IF, err on the side of more. If you want to track, which you do not have to do, you can calculate .8-1g of protein per pound of bodyweight. Shoot for that, see how you feel, and adjust if needed. If you’re currently obese or if thinking about eating your bodyweight in protein makes you sick to your stomach, you can calculate your fat free (lean) mass using this formula. Once you know your “Lean Mass,” multiply that number by 1.9 and shoot for that in grams of protein per day. Remember, calorie restriction is great for losing weight, but the scale can move because we lose lean mass, too. Getting enough protein will help make sure you maintain muscle and lose mostly fat. Eat your veggies. Shoot for 2-3 fist-sized portions at meals. A “fist size” is on average around 1 cup, give or take. If you get hungry between meals, reach for some veggies and guac as a snack (or non-fried veggie snack of choice). Examples: salads/leafy greens, zucchini, peppers, onions, cabbage, brussels, cucumbers, greens supplement, etc. Hopefully you already understand that eating fat won’t make you fat! Healthy fats are crucial for hormone production, transporting things to and from our cells, blood clotting, and other important tasks! Try to eat 1-2 thumb sized portions of fat at each meal. For something like the Leangains model, you’ll want to eat more carbs on workout days and more fats on rest days. Shoot for 1-2 cupped handfuls of carbohydrate-rich foods at each meal. On rest days, lean closer to 1; On workout days, 2. Listen to your body and adjust as needed. Water is extremely important for your weight loss goals. Shoot for 8-10 cups a day. If you’re drinking caffeine or alcohol, add more water. You could turn this into a yummy taco plate or burrito bowl. If it’s a workout day, add in some tortilla chips or rice to increase the carbs. Should You Count Calories and Macros? No. This is completely optional. Calorie counting has a large margin of error and should be used as a tool only, not law. I usually teach my clients these hand portions and to use them with foods they already enjoy. Eating this way and stopping just before you’re full will, on average, help you eat the right amount of calories and macros. With IF, eating in a shortened window should help you decrease calories as well, promoting weight loss. Now, if you view the upcoming fast like Scrat views the impending Ice Age, you will probably “stockpile” calories and negate some of the benefits. Read: stuff yourself because you know you’ll be going 16 hours without food. 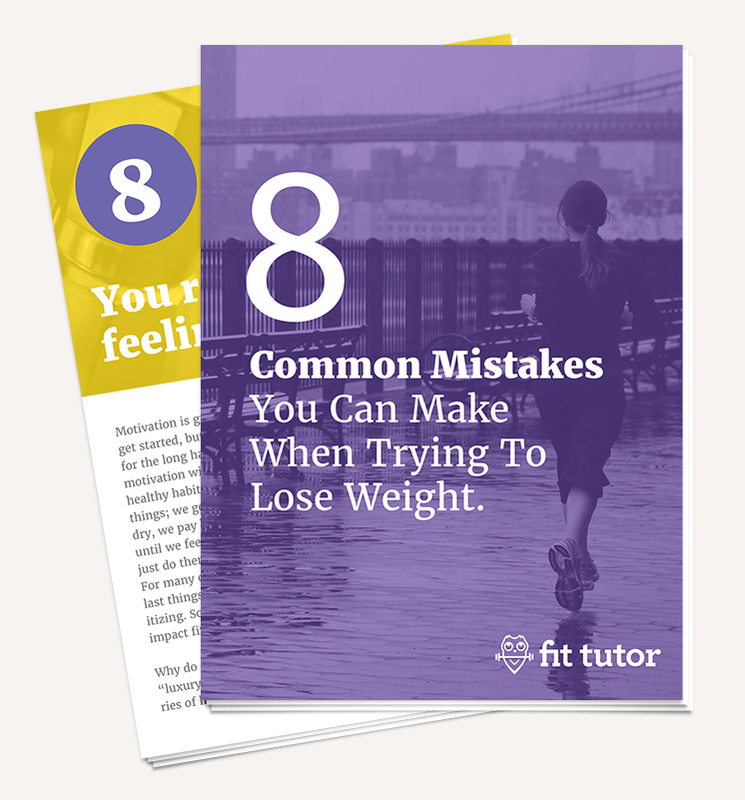 If my clients aren’t losing weight like they want, I usually have them track a week or two to give them suggestions and help figure out where they are going wrong. If you get a little OCD about things in general or have a history of an eating disorder, I might not suggest IF at all, and certainly not calorie counting. If calorie counting is your jam, then by all means count! Calculate how much you need for daily expenditure + activity levels. If weight loss is your main goal, decrease that number by about 10% or around 200 calories a day. Log all of your food and adjust your intake accordingly. Apps like MyFitnessPal make this easier. Note that this would be slightly different if your goal is to gain muscle and “bulk” up. If you can’t remember the last time you weren’t restricting calories, I’d focus on healthy foods and eating as I described above first for about a month or two, then you can resume restriction slowly. Pro tip: if you’re factoring in your activity level, try to count without logging calories burned for workouts. This should already by factored into your caloric needs with the activity factor multiplier. Calorie restriction places a stress on your body, so pay attention to how you feel and adjust or slow things down if needed. Like we said earlier, for some people the hunger subsides after two weeks or so. Others, not so much. You also want to make sure you’re getting enough calories for your workouts. These macros are recommended for weight loss. However, your genes and your body type might require you to change these a bit, which is why I recommend working with a coach. If your workouts are suffering or you’re feeling anxious, up your carbs a few % and adjust your fat until you feel better (another reason working with a coach is helpful). I’d recommend doing an experiment on yourself! As with any good experiment, get some baseline assessments, like tracking your weight beforehand for 1-2 weeks (maybe a whole cycle for the ladies) and taking measurements and photos so you can really tell if it’s helping. If you’re a super-nerd like me, you’ll be dying to know how your body is responding physiologically, so you could get blood work done before and after! If you are fasting for a health condition or for something specific like your cholesterol, work with a doctor and get blood work done to be sure it’s effective. Set a time-frame. Set a time frame, like 1 month, to try this out and re-evaluate. Continue to track whatever assessments you decided on (measurements, photos, etc) and compare before and after numbers and photos to see if it’s helping. You can also keep track of what you eat (optional but helpful), your workouts, and how you feel, like your mood and energy levels. Pay attention to your body, not just the scale. There’s more on this in the next section, but not everyone responds the same way to IF. Set some goals and evaluate if you’re reaching them, and decide if any drawback is worth moving closer to your goal. Remember, you can get fit without IF. anyone with a medical condition- talk to Dr.
I’m not saying intermittent fasting won’t work for you – I’m saying you should talk to your doctor beforehand. Fasting creates extra stress on your body- which is actually where a lot of those cool benefits come from- but if you’re already stressed, sleep deprived, or growing a human, your body won’t do well with the extra stress. Fasting can have different effects on different health conditions, so involve your doctor if that applies to you. In some conditions, like IBS and Chron’s, it could potentially promote the healing of your gut and reduce inflammation. 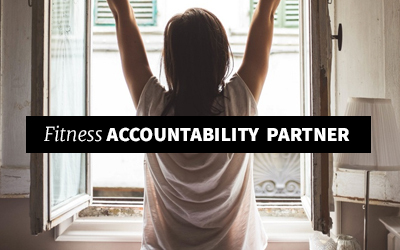 If you have a history of an eating disorder or tend to be a little OCD about things, IF, especially with counting and tracking, can easily take you down a path that will lead to further problems. There are other ways to get healthier and lose weight. These are signs IF isn’t a good fit for you for one reason or another, and it’s time to stop or take a break. IF isn’t for everyone, and your body will tell you if it’s not for you- but you need to be listening. Anytime a woman restricts her calories, there’s a risk she will stop menstruating. 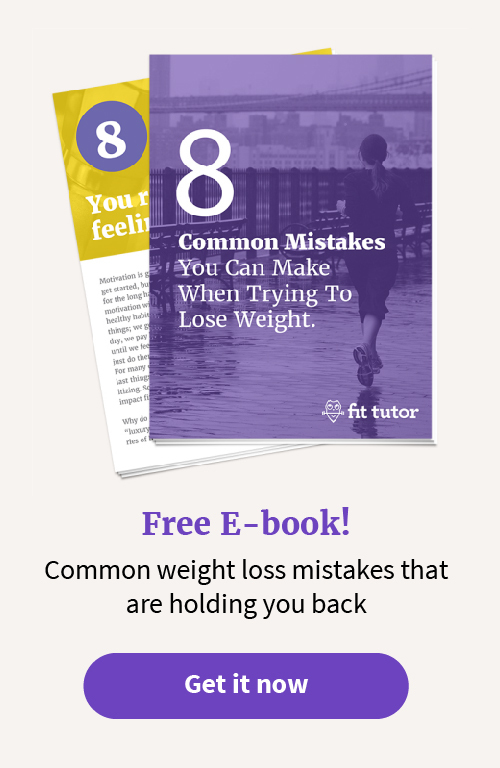 Yes, this is mainly for women who are a healthy weight or on the thin side, but it’s important for all women to be mindful, regardless of age or weight. Chronic stress can also cause this same thing to happen, due to stress placed on the hypothalamus, which controls our reproductive hormones. This is one reason why those who are already stressed should not proceed with IF. This stress can actually cause damage to the female hormone system, causing amenorrhea as stated above, and even early menopause (even as early as mid-20’s). Even if you don’t want children, or you’re not ready for them right now, missing your period is a red flag about your overall health. This includes hormones and weight gain, too. Many women report their periods stopping during IF, so this is something to watch out for. One study even found that rats’ ovaries shrank while restricting calories during IF in order to divert energy to survival. –> Let’s pause and raise a glass to not having to do “vaginal smear tests” on rats every morning! But thanks to those who did the dirty work so we could have this valuable information. As previously mentioned, fasting works because it places a stress on the body. This stress can cause you to burn more fat, be more alert, stay focused, and all of the other benefits mentioned. Although this seems to work great for men, women do not have the same hormonal makeup and don’t appear to reap all the same benefits. One study on IF concluded female rats saw an increase in size in their adrenal glands, which signifies chronic stress during calorie restriction. In one specific study, they tested IF and reduced calorie diets on mice. They discovered the females’ brain chemistry, behavior, and hippocampus size were affected much more so than the males’. This hints that females respond more dramatically to periods of starvation and fasting than males. Women tend to have an increase in sympathetic nervous system activity during periods of fasting (which causes more alertness and anxiety), while men have more parasympathetic activity, resulting in peace and calmness. Hashtag so unfair. Unfortunately, if you haven’t noticed, this heightened response doesn’t mean we reap more benefits than men. Since women respond more drastically, we can be negatively affected by the stress fasting causes, instead of improved. This is referred to as “masculinizing” (really?!) because the female rats stop menstruating, they become more alert, have better memories, and are alert/awake when they should be asleep. 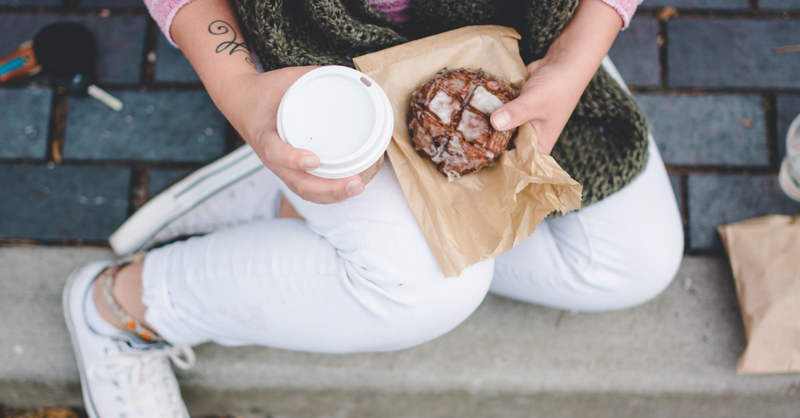 Many women report disrupted sleep cycles and relying heavily on coffee while intermittent fasting. Women also don’t seem to reap the same benefits of increased insulin resistance or glucose tolerance. One study showed women experienced a decrease in glucose tolerance. This means IF actually harmed women’s metabolism, not boosted, and moved them toward a pre-diabetic state. On the other hand, a pro is that women experienced an increase in good cholesterol (HDL) in this study on ADF while men did not. Before you get too excited, these women also experienced increased ghrelin, which is a hunger arousing hormone. At first this anxiety and alertness can seem beneficial and people get more done; the long-term effects of this are negative, and many women report this “energy” is short-lived. By contrast, others feel such low energy they significantly increase the amount of coffee they drink, which can also wreak havoc on hormones and be especially harmful to those who don’t have the coffee gene. Although there aren’t many studies about this, one showed women perform better in a fed state, while another showed that fasted training does not improve results compared to a fed state. Intermittent fasting can increase stress on your sympathetic nervous system, the one in charge of fight or flight. This can increase anxiety and potentially lead to problems with your adrenal gland. Another downside of this sympathetic activity is accelerated aging. Speaking of aging, Autophagy is an age-fighting process that helps clean out cells and replaces them with new, healthy ones. Unfortunately, studies are showing these benefits happen only in males, which leaves claims that IF will help you look younger due to autophagy are (currently) unwarranted. So far, studies show that autophagy decreases in women during fasting states, which can accelerate aging. There are still benefits of autophagy decreasing, like not being as susceptible to diseases who use this process to spread more quickly and kill off healthy cells. So, ladies, looking younger might not be an exclusive reason to fast. Women may experience increased energy and weight loss at first, but these responses don’t last for all. Some women have reported increased stress, trouble sleeping, the development of their first eating disorder, cystic acne and extreme mood swings. If you show any symptoms of being obsessive about food, your weight, or bingeing, then unfortunately IF may exacerbate these problems. The road to recovery from an eating disorder is long, so I would choose to get healthier in a less risky way. To me, these risks outweigh the potential pros of IF for women. Although both you and I know women who’ve experienced great results with IF, the research presents more reason for ladies to be cautious and hesitant than gung ho about shortening our eating windows. I tend to err on the side of caution, but I’m not alone here. Chief Nerd Steve at Nerd Fitness states that he would be hesitant to recommend this way of eating for women, especially if they wanted to become pregnant. He states research has led him to conclude fasting could be less effective for women than men. Same goes for the good people at Precision Nutrition and one of my new favorite blogs, Paleo for Women by Stefani Ruper. Ruper believes since the literature is so sparse, isn’t definitive, and seems to differ for women of different sizes and genetic makeup, she would suggest erring on the side of caution if you’re a woman. Especially if you’re a non-obese woman, or a pre-or-perimenopausal woman. After reading those bennies I was all about trying IF. In fact, I was going to do a 3 month experiment to post alongside this article. Now, after diving into this (limited) research on women, I’m seriously thinking hell no. I already have issues with my hormones. I have to eat right away when I get up and limit my caffeine intake. 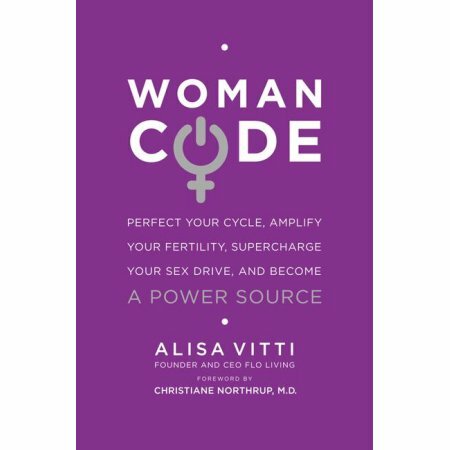 If you currently have hormonal issues, I suggest reading Alissa Vitti’s book Woman Code. This can help to heal your hormones and body before you consider IF. I’m not saying IF doesn’t have amazing potential for women. What I am saying is the few controlled studies we have don’t show enough benefits compared to the cons for me to currently recommend it. It seems promising for obese women, post-menopausal women, and appears to be beneficial for chemotherapy patients, cancer, bowel disorders, and age-related neurodegenerative diseases. Like I said before, talk to your doctor. If you’re a woman who is already doing IF and loving it- great! Involve your doctor and monitor yourself closely. If you’re still set on trying this way of eating, may I suggest starting with a much smaller fasting window? You can work your way up, with the understanding you may never reach a 16/8 window (some women claim a 14/10 works for them). Start small, listen to your body, and stop at any sign of trouble. Start by extending your regular fasting window (your time between your last bite of food at night and first in the morning) by an hour. Keep going from there, slowly but surely. And if you find that IF isn’t for you, don’t be discouraged! Honestly, I would encourage you to curb your late night eating or push your dinner time up an hour if it’s late. Although this isn’t fasting, it increases your natural fasting window which is associated with weight loss! Wow, this post was a doozy, friends. Thanks for hanging in there with me! Let’s remember that I’m human and could be misinterpreting some of these studies. I’ve linked to every one I’ve referred to, so be my guest and dive into the research yourself! Like I said, I tend to err on the side of caution. You (and your doctor) may come up with a totally different solution. And if you’re a dude, the results seem promising, and lots of men have experienced great benefits while intermittent fasting. If you’re looking for some guidance, send me a message about working with me! I hope you’ve found this information beneficial. I’d love to hear your thoughts in the comments. Have you tried IF? What did or did not work for you? What do you think about this research on women? I’m grateful for you sharing this post and helping people get educated about the ins and outs of IF!